St. Luke’s began in 1889 as a Sunday School provided by Holy Trinity Church. The present building, which was constructed in 1904 and enlarged in 1910, is an excellent example of Gothic Revival architecture. The interior contains a large pipe organ, beautiful stained glass windows, and wood carvings by noted craftsmen and artists. The tower features a fine chime of eight bells. 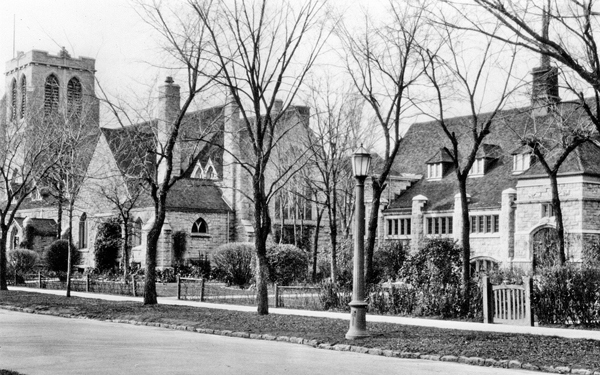 In 1914, the Church House was built to accommodate the Sunday School and community activities. There will be guided tours as required for those that are interested. Guided tours will run throughout the day, lasting 20 minutes, maximum 10.